We've had some fun snow days during the Christmas break. 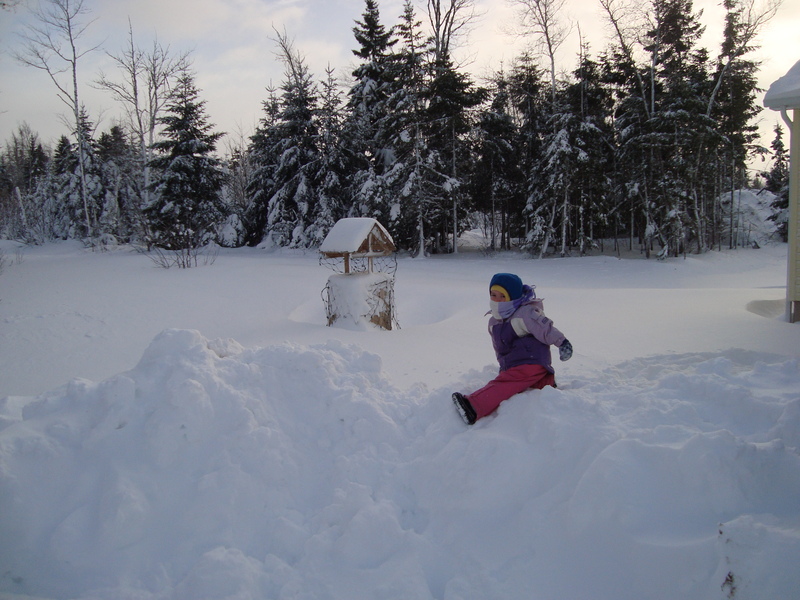 Here's Rebecca outside playing on the banks by the house. Willow's husky breed is really coming out in her this season. 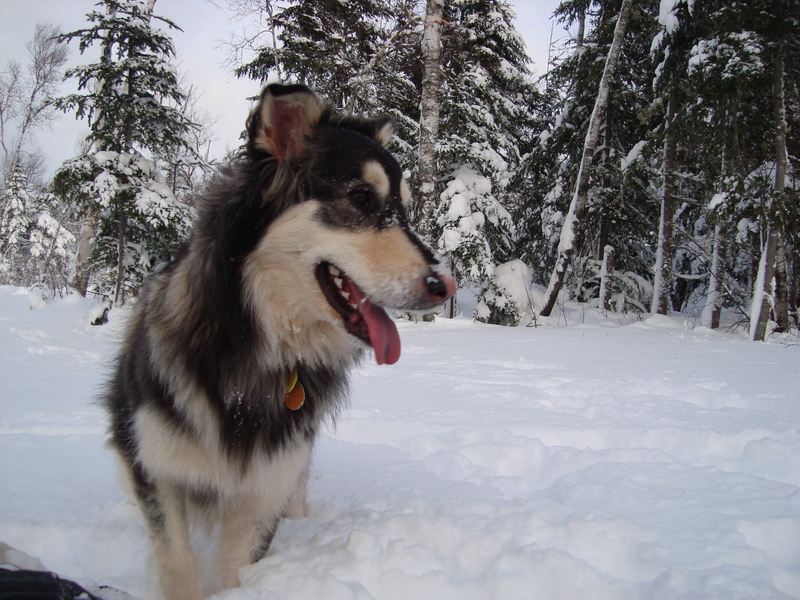 She spends most days outside diving around in the snow. 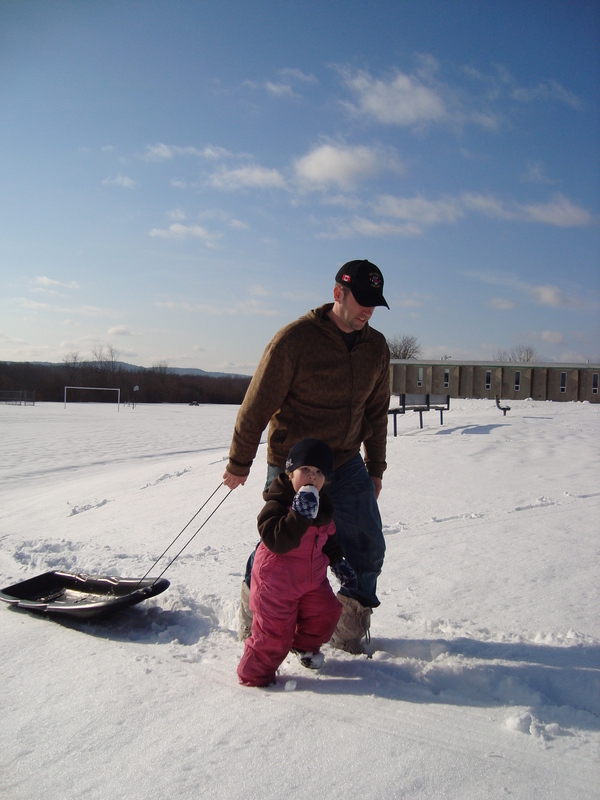 On New Years Day, we took the girls to the elementary school playground for some sliding. It was quite warm that day and we were sledding in our sweaters! 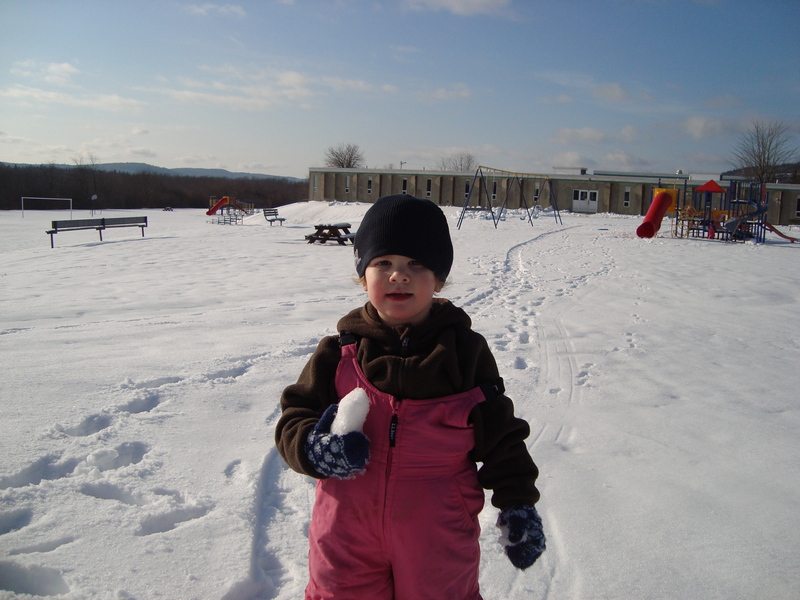 Abigail usually plays in the snow carrying her 'snowman' wherever she goes. A usual staple after snow time is warming up on the couch with 'hot chocolate'. 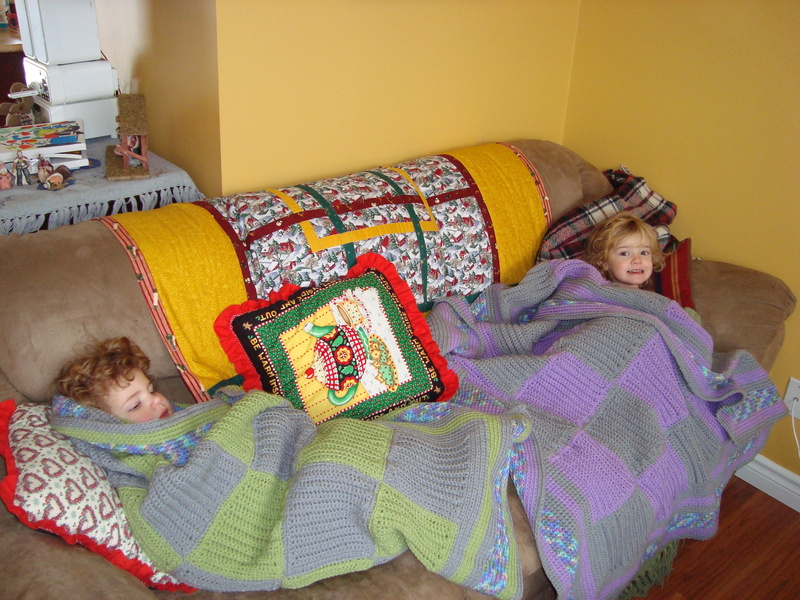 Since Christmas, they have really taken to their afgan blankets made by their great-gramma. What a treasure! What I don't have any photos of is our little trek to a nearby woods road, Annidale Siding. 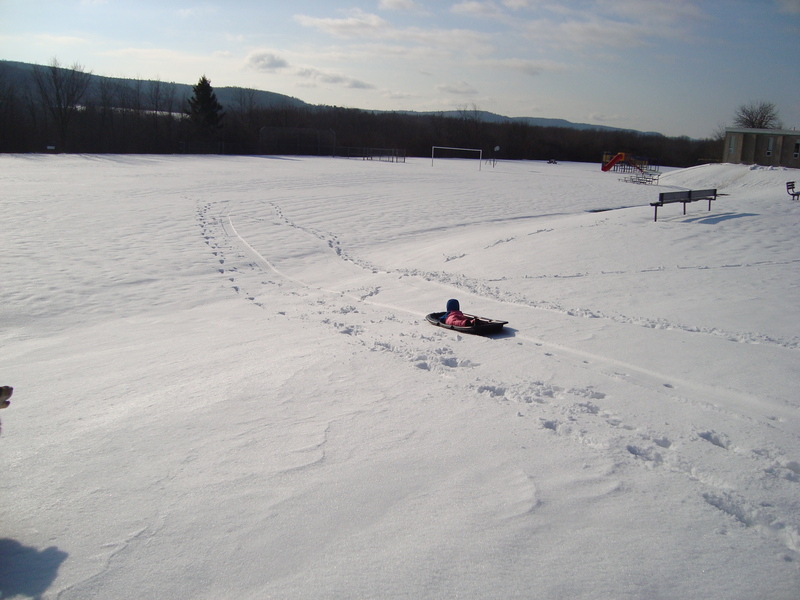 Its normally used for a snowmobile trail during the winter, but because it has an awesome hill we used it for sliding! The hill is fairly long and we only made it three trips up and down because you travel about 400m with each trip. The neat part was the trees hanging down over the road and the 'slalom run' we made between them. Quite fun. We'll have to take a video next time we go as the hill kept the whole family entertained. Love these photos, Great grandma will love the one of Abigail and Rebecca with their afghans. She loved making them for you two!!! You both look so comfy and beautiful. Looks cozy wish I was there.